Ahh healthy eating can feel so amazing when you make grand plans to do it, but following through is another thing. We get all jazzed about this brand new “change” we’re making to eat right, but it’s insanely easy to get derailed. One of the best ways to prevent this is doing meal prep each week to ensure your success. Meal prepping is not something that I had done much of until the past 3 years or so. But I certainly have had my busy weeks or being out of town where it can’t be done. However if you get back on the horse (so to speak) and want to be successful at watching what you eat, then meal prep is a fabulous vehicle. 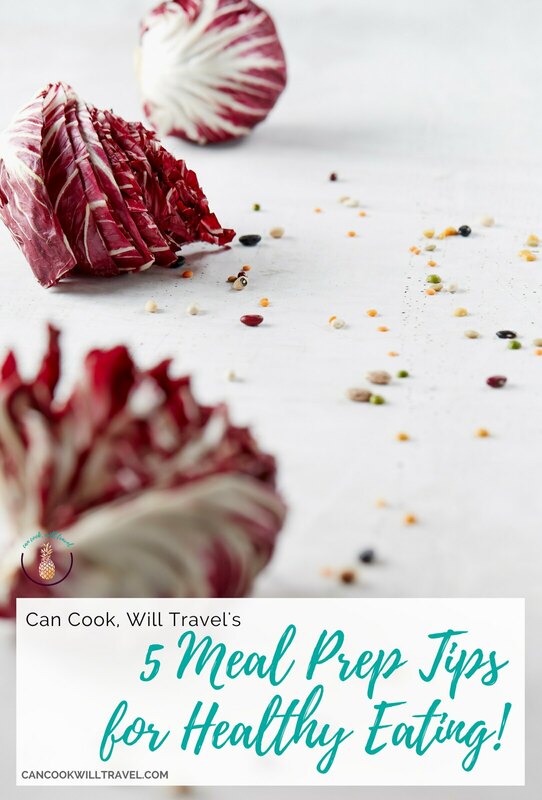 There are a few things to do to plan for meal prep day, and then I want to share my 5 meal prep tips. These are things that I try to do regularly so that I have no excuses not to eat well the majority of my meals. Know what you’re going to make.If you ask me, this step is often the most difficult, and it can be where healthy eating falls off course. One option is to have a menu for the week to work off of. I’m currently doing the TIU Bikini Series challenge, which gives me a week by week meal plan that I can also customize. But if you don’t follow a meal plan, which I usually don’t, then search your heart out! Take an hour or two the week before to scour Pinterest, your favorite blogs (ahem), and all those cookbooks taking up space on your shelf. Come up with 2-3 recipes per meal for the week, so that you can cook once and spread it out. Grocery shoppingNow that you know what you’re going to make, then you have to take stock of what you have in the kitchen. I like to make a list as I choose my recipes of the ingredients (and quantities) I’ll need. Then I add the ones to my grocery list that I know I need, and also add the ingredients I’m not sure on with a star. Those little starred items are then looked for in my fridge, freezer, and pantry. If I have them, they’re removed from the list, and if not, then the star gets removed and they stay. 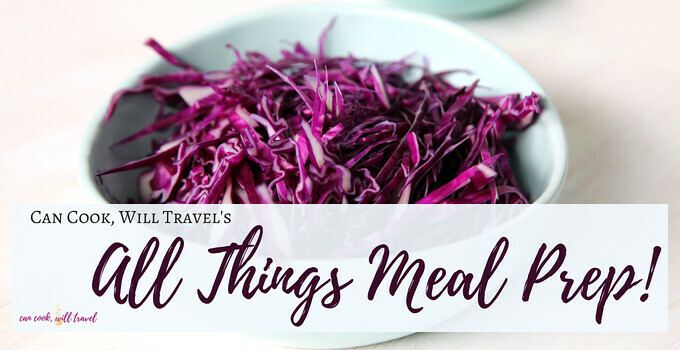 Make sure to add things for snacking like fruit, veggies, hummus, guac, salsa, kombucha, kimchi, trail mix, dark chocolate etc. That way when you need something to curb your hunger, then you have healthy choices. Shop away (usually the day prior to meal prep day), and really try to stick to your list. I love using Evernote to keep my grocery list on my phone and laptop synched up, and it has check boxes. So as I’m shopping in the store, I can check off each ingredient as they go into my cart. Pick your meal prep day and stick with it.A lot of people choose Sunday as their meal prep day, because they can make an afternoon of it. 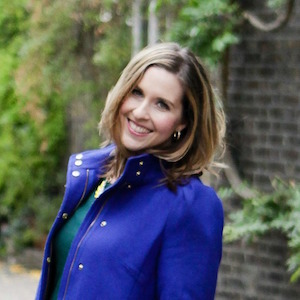 But it is all about what works best for your schedule, so choose a day that feels right. And don’t make excuses, because meal prep is a life saver. A few hours of cooking/baking will make all the difference during the week. I usually figure it’ll take me 2-3 hours (typically off and on so I can do other stuff), so you can allow for that. Anytime you can get kale, arugula, spinach, and salad mixes bagged and pre-washed, then count me in. I love how fast and easy it can be to grab a handful of greens and boom, I have a salad! It’s great as a base of a salad, added into a soup, blended in smoothies, and more. Currently I’m loving this salad mix from Trader Joe’s with kale, cabbage, brussels sprouts, and more. A couple of handfuls and I can toss veggies in there and dig in. I also really love buying spinach or kale in a bag to sauté with eggs or any veggies for a heartier meal. I’d say grab 2-3 different greens to have available throughout the week so you don’t get bored. I really love finding great dressings or sauces and making them in advance. Then I can add them to a salad or bowl making my meal ready even faster. Mason jars or glass storage containers come in really handy here. I find that extra-virgin olive oil, honey, salt & pepper, lemons or limes, and your favorite spices are super handy. So change it up every week or two so you’ve got diversity and don’t get bored. In case you can’t tell, I’m all about changing it up, so you don’t say you’re tired of the meals. Also if you want a creamier sauce, then an aioli or cream sauce is great too. 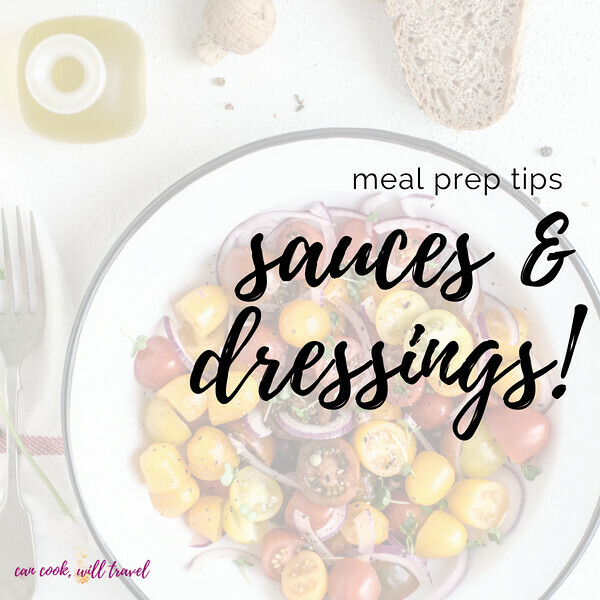 I love using an aioli for dipping, and I’m obsessed with dairy free cashew cream sauces in salads and for dipping. This is a big time saver, because a lot of times it keeps you from cooking (much) for lunch and dinner. Whether it’s grilling chicken and keeping it in the fridge, cooking up shrimp on meal prep day, or cooking ground chicken or turkey, your healthy meats will be ready for you. I also love making some tofu in advance or tempeh if you don’t like meat, so cook that ahead too. Now there will be times when that’s not a good idea with a recipe, so try to mix it up so that some recipes (like salads or bowls) do let you make components in advance. 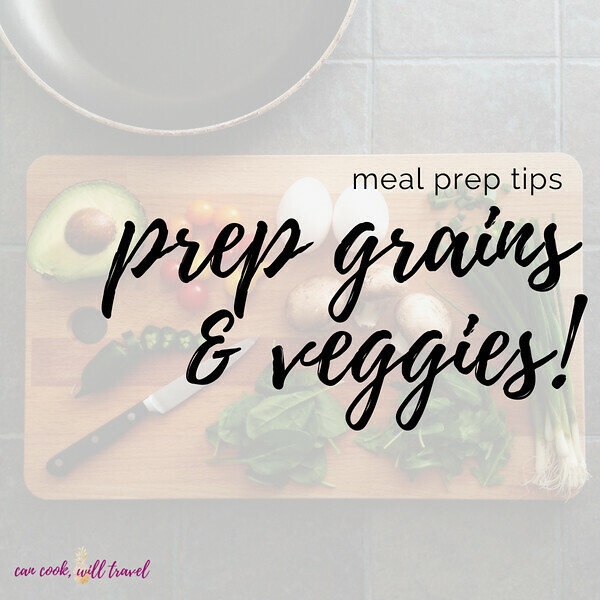 I have no excuse not to have something healthy to devour when my grains and vegetables are part of my meal prep routine. That looks like me making quinoa or brown rice on meal prep day, so it’s waiting on me to add to dishes I need. 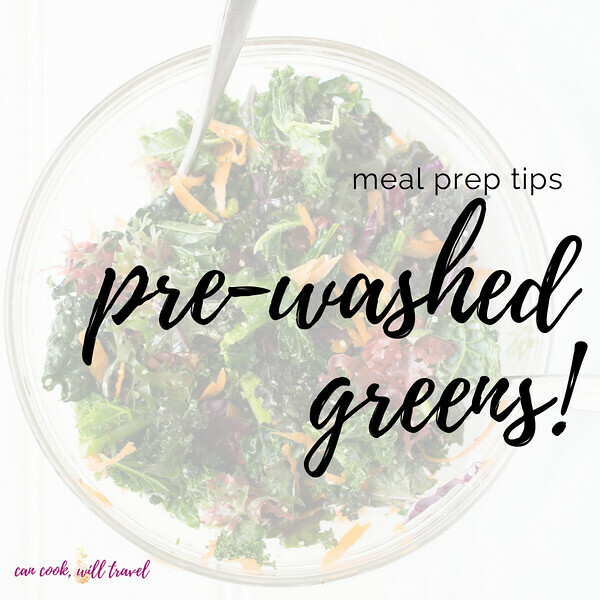 I also like to buy pre-washed, ready to steam veggies that are easy to work with. I often will have onions, peppers, and carrots chopped up and ready to eat too. They are really handy when it comes to roasting vegetables, so grab 3-4 different kinds. Cucumbers and zucchini are also great to work with but not too far in advance, because they can get soft. I don’t recommend baby carrots, so buy regular size, because they’re way healthier. Then all you need is hummus, guac or salsa, bagged greens, or a dressing or sauce and you’ve pretty much got dinner. I know a lot of people skip breakfast, but I just feel more alert when I’ve eaten in the morning. I work from home, so most days a smoothie bowl or scrambled eggs with veggies are what I choose. But if I know that I have a morning full of meetings, then I like to have something quick to grab. If you like sweet breakfasts, then making overnight oats or chia seed pudding on meal prep day is perfect. They’re both fast to mix up, and they’ll keep 2-3 days in a mason jar in the fridge. Then you can add fruit, granola, or other toppings when you’re ready to dive in. 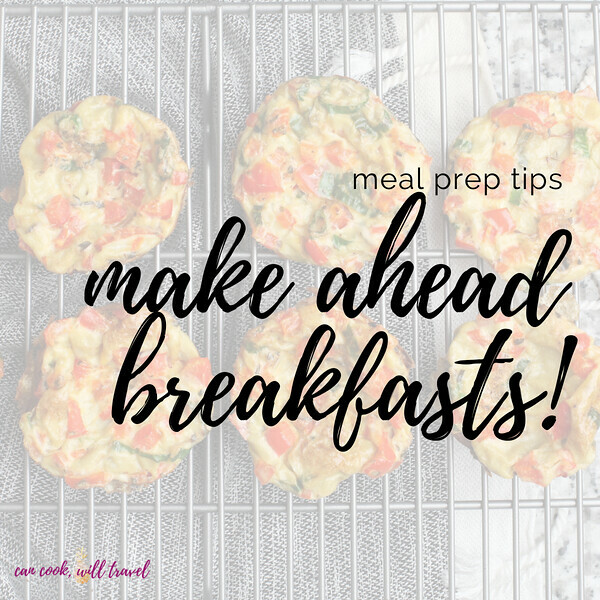 Oh and bake some scones or waffles which you can reheat during the week or freeze so you have something fast for busy weeks where you can’t meal prep. If you’re more of a savory kinda person, I love egg muffins. I must admit they came in super handy the past few weeks when I was moving. I made 6 egg muffins with some onions and broccoli and they were my easy breakfast for 3 days. Not only did they give me a reason to avoid the drive through, but they’re healthy and great for boosting my energy. 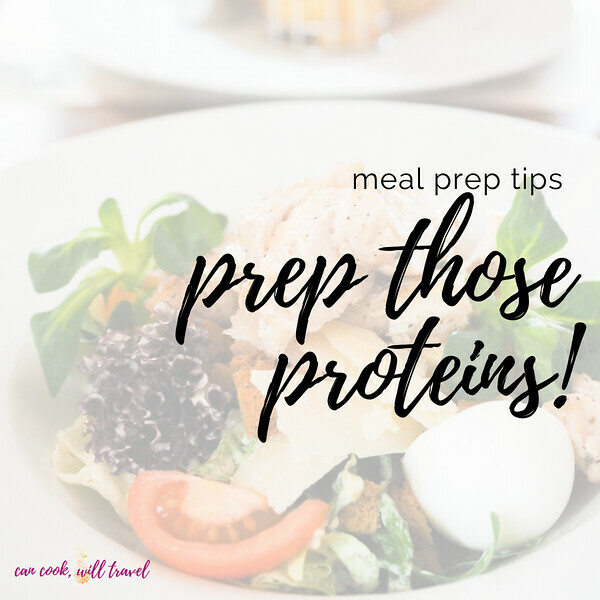 Meal prep may seem daunting at first, but if you take a couple of hours to prepare for it, then you’ll be all set. My best advice truly is to plan and commit to doing it, because then you have no excuse to not eat well. And then make it fun with your favorite playlist or TV show on while you cook, chop, and bake! Once you start to get the hang of it, then you’ll be amazed by how much you can accomplish. Cooking may be a stress reliever for some of us, but trying to eat well can often seem impossible. So give yourself grace when you do indulge, and make up for it by being prepared. I try to live by the 80/20 rule, so I’m eating healthy 80% of the time with 20% indulgences. I’ve found this method allows me to not be so hard on myself when I do drink a bit or want a bowl of mac ’n cheese. If I have healthy stuff at the ready, then I know I’ll make up for it with my next meal. I’d love to know how you like to meal prep, or if you’re new to it. Any tips you want to share or areas you’d like help in, please comment below so we can continue the convo! Stay inspired & crank up the tunes for a fun meal prep day! Previous Post: « Superfood Blueberry Smoothie Bowl Hits the Spot!